This conversation on 3D Fiber Lash Mascara was sponsored by Lash Factory. View our complete disclosure policy here. There are a couple ways to get long, think, glamorous lashes. You can get eyelash extensions, but these cost hundreds of dollars and are very high-maintenance. 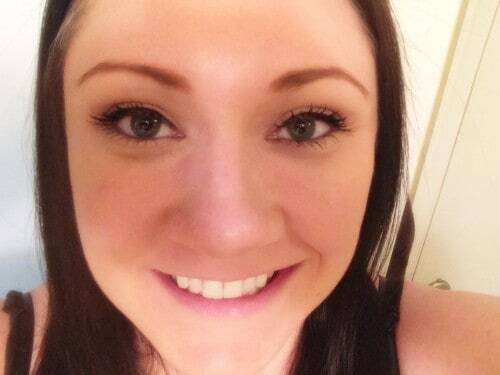 You can glue on some false lashes, but if you are like me, that is easier said than done. Plus, falsies often end up looking just that – fake. They glue might loosen throughout the day and you end up with you lashes hanging off your eye. Not glamorous at all. Thanks to Lash Factory, I have found a way to get bold and dramatic lashes that is easy, affordable, and that I can do at home in minutes. 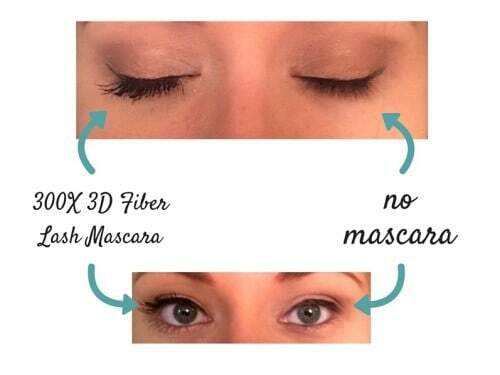 The amazing product is called 300X 3D Fiber Lash Mascara and it is made by a company called Lash Factory. The “300x” in the name stands for the 300 times longer and thicker it can make your lashes. Lash Factory's 300X 3D Fiber Lash Mascara is hypoallergenic, non-toxic, and safe for contact lens wearers and those with sensitive eyes. What is 3D Fiber Lash Mascara? The 3D Lash Mascara comes in a small black case that resembles an eyeglass case. Inside you will find 2 tubes. The shorter tube is the 3D fibers and the longer tube is the transplanting gel. Basically, you use the transplanting gel to apply the 3D fibers to build up the length and thickness of your lashes. How do you apply 3D Fiber Lash Mascara? Applying Lash Factory 300X 3D Fiber Lash Mascara is a very simple process and takes just a few minutes. You first apply the transplanting gel to your lashes, then apply the 3D fibers , re-apply the transplanting gel to “lock in” the 3D fibers, and finally use the included eyelash comb to help separate each lash. Ta- da! That is it. If you would like to make your lashes even longer and thicker, you can repeat the process. You can continue to repeat the process until your lashes reach your desired length and thickness. The gel dries quickly, so work on one eye at a time. Have both tubes open and ready to go before beginning. To avoid irritation, only apply fibers from the middle of the lash to the tip, rather than to the entire length of the lash. This 300X 3D Fiber Lash Mascara by Lash Factory is amazing. It makes my lashes as long and full as false eyelashes do, but without the annoyance of gluing on falsies. I absolutely love 300X 3D Fiber Lash Mascara by Lash Factory, and I would recommend it to every lady out there. While the price of Lash Factory's 300X 3D Fiber Lash Mascara is a bit steeper than your typical drug store mascara, it still costs less than most designer mascaras that you can purchase in the department stores. I think that Lash Factory's 300X 3D Fiber Mascara is absolutely worth the price, as it works better than any mascara I have ever used. 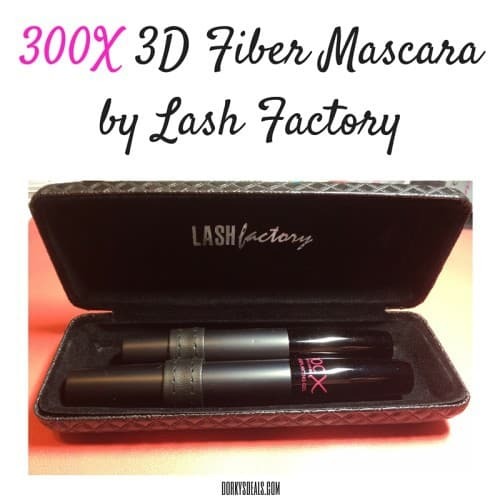 You can purchase 300X 3D Fiber Lash Mascara by Lash Factory on Amazon here. The difference is very impressive. I really want to try this out. Mascara is absolutely my favorite type of makeup! Love it! I used to have so much eye lashes hair but as I got older I have a few. I miss having my big real lashes. People always thought they were fake. I got to try this 3D mascara to bring up my lashes big like they used to be.